If there’s one thing that house heads, techno connoisseurs and your mum can all agree on, it’s that disco is a phenomenal genre. Today’s premiere is a case in point. We’re delighted to deliver to you Paradiso Records’ debut release. Paradiso is a label and blog built on an ethos of non-stop dancing, helmed by our very own Adam Rees. Our in-house disco aficionado has somehow found time in between headlining venues as a DJ, producing music under his alias REES, and writing for Bolting Bits, to launch Paradiso with a strong vision and aesthetic. The label sits in a corner of house music that can be tough to break into. But if Rees’ admirable work ethic, undeniable passion for the scene, and the label’s impeccable maiden release are anything to go by, Paradiso’s trajectory is promising. 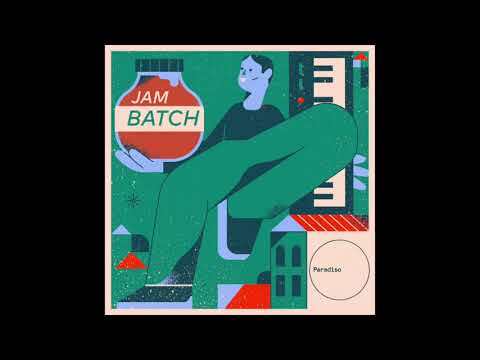 Launching the label with the Jam Batch Edits EP is rising talent Sam Goes to Tokyo. Staying true to his influences and self-professed love for synths, big drums and classic samples, the Mancunian producer delivers three high energy disco cuts that feed the soul. ‘Tomorrow America’ is anthemic in nature, basking in the glory days of disco while heralding the exciting beginnings of a new era of house music. Keeping the Saturday night fever alive, the second track ‘Dancing’ is a smooth four-four journey from start to finish. It has all the trappings of a superbly produced disco edit, but feels far from formulaic. Today we have the pleasure of bringing you ‘Checking Out’, rounding off the EP with stellar vibes. Luring us in with a pumping kick drum, the track soon steals our hearts with an electric vocal hook from Aurra’s soulful 1982 disco groover: ‘Checking You Out’. The original is given a refreshing club-ready re-contextualisationwithout sacrificing any of its personality and emotion. Add in a delicate amount of filtering to build and sustain euphoria, and the outcome is an incredibly workable track that will deliver on any occasion. On the dancefloor, it’ll make you want to hug the stranger next to you. In the bedroom, it’ll make you feel like you’re closing a festival. It’s a universal crowd pleaser guaranteed to lift the spirits – true proof that disco really is for everyone. Releasing from the Paradiso Bandcamp on November 3, mark your calendars.